At Community Healthcare Center, we understand not everyone can afford medical and dental insurance. At Community Healthcare Center we have other avenues that may help cover costs with medical and dental care. A sliding fee scale is available for all qualified clients without medical insurance. The sliding fee scale may also apply to services which an insurance does not cover. No one is denied services due to an inability to pay. Please ask our staff if you need assistance or have any questions. Service co-pays required at the time of service. See the receptionist at the time of service for the amount due. Patients who qualify are eligible for a co-pay of $40 or less. Helps cover x-rays and procedures. Patient must be below 200% FPL to qualify. Application must be completed and signed the day a patient receives services for PHC to pay for any charges. Information about applicant and household is needed to qualify. Eligibility is determined by income and household size. If qualified, eligibility on PHC Program is effective for one calendar year from application date. Patients are responsible for updating any changes in household size, income or insurance status. Other contraceptive methods such as condoms, diaphragm, vaginal spermicide and injections. 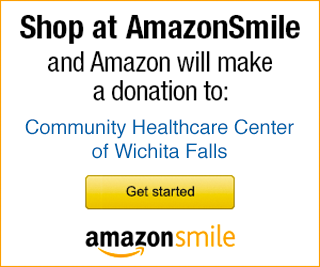 MEDICAID; MEDICARE; CHIP; DEPARTMENT OF STATE HEALTH SERVICES; SSI; INTERFAITH MINISTRIES; FAITH MISSION; ADULT PROTECTIVE SERVICES; CHILD PROTECTIVE SERVICES; COUNTY INDIGENT HEALTH CARE PROGRAM; THE WICHITA FALLS HEALTH DEPARTMENT. please call (940) 766-6306 . *Provides immediate assistance. Patients may qualify for Presumptive Eligibility if no final eligibility determination has been made AND there is an immediate medical need. **All programs available to eligible patients as long as funding is available.